Today was the first day of competition on the occasion of the Judo Grand Slam, Rio 2012. Seven categories were engaged: Women's -48kg, -52kg, -57kg and -63kg and Men's -60kg, -66kg and -73kg. By JOHN OTIS Nick Delpopolo of the United States judo team. Hayward Nishioka has written an 18 page paper called: "Inflection Points In American Judo"
Judo, Can You Teach Judo, Pay the Bills...and Not Sell Out? 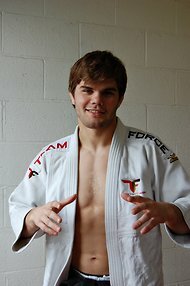 Teaching Judo as a Business? USA JUDO: TOTAL NUMBER OF SENIOR NATIONAL ENTRANTS FROM (1990 - 2012) "REVISED"